Project: K.I.T.T. 's Facebook page recently hit 600 followers! Thanks to everyone for your continued interest and support! If you have not had a chance to check out the Project: K.I.T.T. page on Facebook you really should. It's a great way to stay updated, leave comments, or even ask questions about the Project. It will even notify you of new blog posts and videos. Project: K.I.T.T. 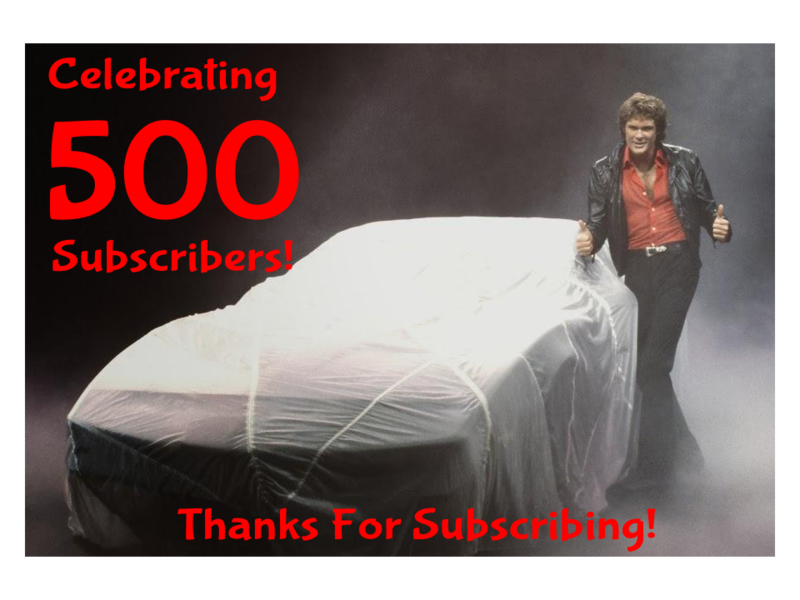 's YouTube channel recently hit 500 subscribers! Thanks to everyone for your continued interest and support! If you have not had a chance to check out the Project: K.I.T.T. channel on YouTube you really should. It's a great way to stay updated, leave comments, or even ask questions about the Project. It will even notify you of new blog posts and videos. 5,467 pictures downloaded, sorted and uploaded; 504 posts copied, checked for code and reformatted; and 49 hours of time spent by Sara and I working diligently; but we're here and all moved in! When I started this blog it was meant as more of a reference journal for me, and I never imagined that it would grow as large as it has with readers across the globe. It fills me with a sense of gratification that my experience and trials with this Project are interesting and even helpful to others. Sara and I are looking forward to getting back to steady work on KITT and being able to document it on the new blog. As we started the process of transferring the blog, I wondered if there was anything I would learn from reading back through from the beginning. I discovered three things I either didn't remember, found the hindsight perspective helpful, or just needed to hear my younger self repeatedly stating. 1) I purchased all black polyurethane bushings for KITT and not the red ones I thought I had. The black are impregnated with graphite to add a lubrication property and help eliminate squeaks. 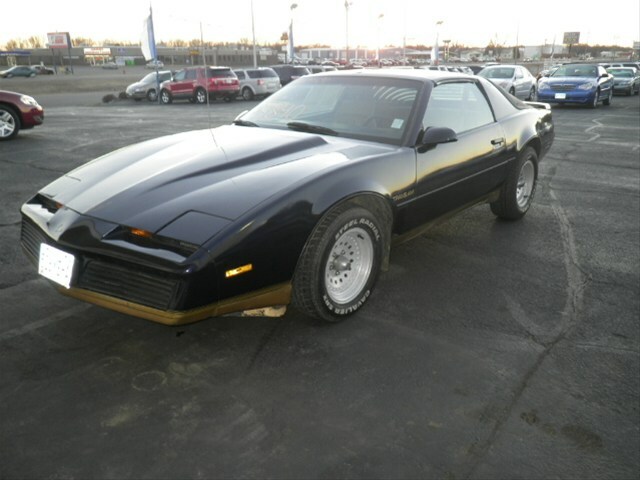 I purchased the red control arm bushings for KARR and have been dealing with a squeaky headache ever since, so I was really dreading having to deal with that on KITT too. The black should prove much quieter. I did manage to get KARR's squeaky bushings under control by adding grease Zerks to the control arms. This allowed me to add more of the special Formula 5 Prelube to the bushings. 2) Mistakes happen and they can be very costly. That cost is not always just money. It can kill enthusiasm, zap motivation, break hearts, make you feel like you are taking two steps back and only one forward, and it can require healing. The important thing is that we don't let mistakes beat us, that we learn from them, don't repeat them, and most importantly, move on. 3) My wife is awesome! I truly am blessed to be able to spend my life with my best friend. Then there is the assistance with this Project... she has been invaluable! A source of strength, encouragement, ingenuity, organization, and she has easily shouldered half the workload. How many wives would even be willing to be out working in the garage let alone tearing apart a 35-year-old car for a frame up restoration? It goes without saying that I would not be as far as I am in the Project without her. Thanks Sara! Moving the blog was a lot of hard work, but ended up being really fun. It provided a really good look back at the last six years and just how far we have come. I know that lately things have been really quiet, but that is about to change. I am once again highly motivated to get KITT finished, and together with Sara, I know we can get back that awesome pace we had when we started this Project. We decided that it would be beneficial to create a to do list of sorts for the Project. This will keep us on track and also provide our readers with an insight as to what's next. In fact that's what we'll call it. So look for the "What's Next" tab at the top of the Project: K.I.T.T. blog. My friends Joe Huth and AJ Palmgren were lucky enough to have their screen used KITT featured on "Jay Leno's Garage"! This was filmed last month in California. The YouTube extra show premiered today and the televised episode will be in May. Congratulations Joe and AJ! This is the screen used KITT we sat in at Southern Knights Atlanta 2016! 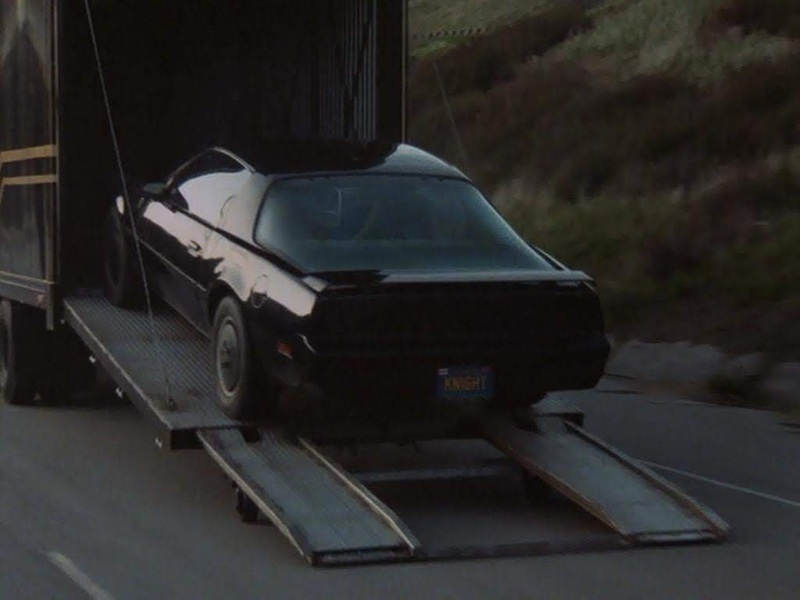 KITT Turns 35 Today! Happy Birthday Buddy! I wanted to give KARR's instrument panel a little more of a Knight Rider look, so for my birthday this year Sara bought me a set of digital Fiero gauges from Tom's Digital Electronics. Thanks Baby, you are the absolute best! We had them custom built to look a bit more like the bar graphs seen on Knight Rider. They took six weeks to build, but they arrived a few days ago and I couldn't wait to get them installed. As you can see, KARR was just waiting to pull into the garage too! When Joe Huth, of the Knight Rider Historians, announced that he was making a F.L.A.G. flag...I knew I had to have one! Joe's stuff is always top notch and his attention to the smallest detail means you will end up with the most authentic prop. This flag is the proud symbol of Knight Industries and the Foundation for Law And Government as seen in Knight Rider. NOW ACCEPTING ORDERS for the “F.L.A.G. flag”! Modeled after the flag seen flying high above the Foundation for Law and Government in “Goliath Returns”, our large 3’ x 5’ waterproof flag is double-sided and made of a high quality knitted polyester. The back side features the Knight chess piece in reverse. Grommets at all four corners allow you the flexibility to mount it to a flagpole, hang it on a wall, or stretch it between two posts! Perfect for car shows, garages and man caves. We are offering this flag in two color schemes – black graphics/yellow background (similar to the “Goliath Returns” flag) and a more traditional gold graphics/black background. We had a limited run of 100 made (50 of each style), and when they are gone – they are GONE! I ordered the black and gold color scheme. Mine arrived today and I couldn't wait to get it open! I couldn't wait to get home today so I could get this bad boy open! Sara and I are back to feeling ambitious again so we tackled a bunch of projects this weekend. After church this morning we fixed a rock chip in the windshield of the Freestyle, then rolled KITT out of the garage so he could enjoy the sun. It arrived today and I couldn't wait to get it opened! Wait, I Never Finished This?! I decided this weekend to dive back into working on KITT, and realized I never finished the taillight harness. Just for curiosity sake I pulled up the blog post where I started on the taillight harness, and realized it was in July of 2012. That's insane! I really need to get back to work on this Project! I started this weekend by putting a new section of wire loom on the section of the harness I had already cleaned and restored. I had been looking for a way to improve on our cracking and salt-eaten cement garage floor for a while. I saw some Craftsman garage tiles at Sears a couple of years ago, and had been thinking about them ever since. Sears no longer sells the Craftsman tiles I first saw, but I was able to find an online source for PVC garage tiles. These are twenty inch square interlocking tiles. They sit on top of the floor and require no adhesive. They are water, chemical, and solvent resistant. I chose black tiles with a leather-like look. This week KARR had a special passenger. We dog-sat for our friend Jill's Dobermans. KARR took Knox and I to the dog park so Knox could burn off some of her puppy energy.